Jonathan Lee has been promoted to Financial Institutions Manager – Portfolio Manager in the Money Transmitter Division for Southern California. Jonathan is a proud graduate of the University of California, Berkeley, where he earned a degree in Environmental Economics and Policy. Jonathan joined the DBO as a Money Transmitter examiner in 2009. He received a promotion to Senior Financial Institutions Examiner in 2014. Throughout his tenure with the DBO, Jonathan has worked with a wide variety of money transmission licensees, from small mom-and-pop remitters to complex financial technology service providers. He is also a Certified Anti-Money Laundering Specialist. Jonathan assumed his new position on September 17. 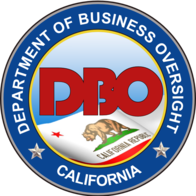 The DBO has notified each California Residential Mortgage Lending Act (CRMLA) and California Financing Law (CFL) licensee of annual assessments for FY 2018-19. The assessments represent each licensee’s share of the cost of administering the programs in accordance with the California Financial Code. Any licensee whose license is active on or about Sept. 30 is subject to an assessment. The minimum assessment for CFL licensees will be $250 per licensed location. Failure to pay the assessment by Oct. 31 will result in license revocation (California Financial Code section 22107). For more information, call the DBO accounting unit at (916) 322-5397. The minimum assessment for CRMLA licensees is $1,000 and is due by Oct. 18. CRMLA invoices are posted in the Nationwide Multistate Licensing System (NMLS). Questions can be referred to CRMLA.Inquiries@dbo.ca.gov. Pursuant to Government Code section 53667, the Commissioner annually assesses all California depository institutions that hold deposits of local agencies. The assessments fund the DBO’s administration of the Local Agency Security Program. Invoices were mailed to depository institutions on Oct. 2. The assessment base rate was set at 0.0026 percent of average local agency deposits for fiscal year 2018-19, a decrease of 0.0001 percent from the prior fiscal year. Depository institutions must pay their assessment no later than Oct. 30. Questions should be directed to Lisa Huang at 415-542-6256 or Lisa.Huang@dbo.ca.gov. Federal regulators and the U.S. Department of the Treasury’s Financial Crimes Enforcement Network (FinCEN) on Oct. 3 issued an Interagency Statement regarding collaborative arrangements by banks and credit unions to manage their Bank Secrecy Act (BSA) and anti-money laundering (AML) obligations more efficiently and effectively. The joint statement – issued by the Board of Governors of the Federal Reserve System, the Federal Deposit Insurance Corporation, FinCEN, the National Credit Union Administration, and the Office of the Comptroller of the Currency – explains how these institutions can share BSA/AML resources to better protect against illicit finance risks, which can also reduce costs. The joint statement is a result of a working group formed by these agencies and Treasury’s Office of Terrorism and Financial Intelligence to improve the effectiveness and efficiency of the BSA/AML regime. The joint statement acknowledges that banks and credit unions may benefit from using shared resources to manage certain BSA/AML obligations more efficiently and effectively. It also notes that financial institutions should approach such collaborative arrangements like other business decisions, with due diligence and thorough consideration of the risks and benefits. CSBS on Oct. 4 released the inaugural Money Services Businesses (MSB) Industry Report with 2017 transaction data from licensed money transmission, payments, virtual currency and other businesses. The MSB Industry report is based on data collected from the Nationwide Multistate Licensing System (NMLS), which is operated by CSBS. The money services business industry overall handled $1.24 trillion in 2017. The money transmission industry is highly concentrated with the 10 largest companies moving 74 percent of almost $685 billion. ForeverCar Consumer Credit of California, Inc. The October 2018 Monthly Bulletin covers the month ended September 31, 2018. It is issued pursuant to Financial Code section 376.